A picture says 1000 words. And without a doubt this one does as well. 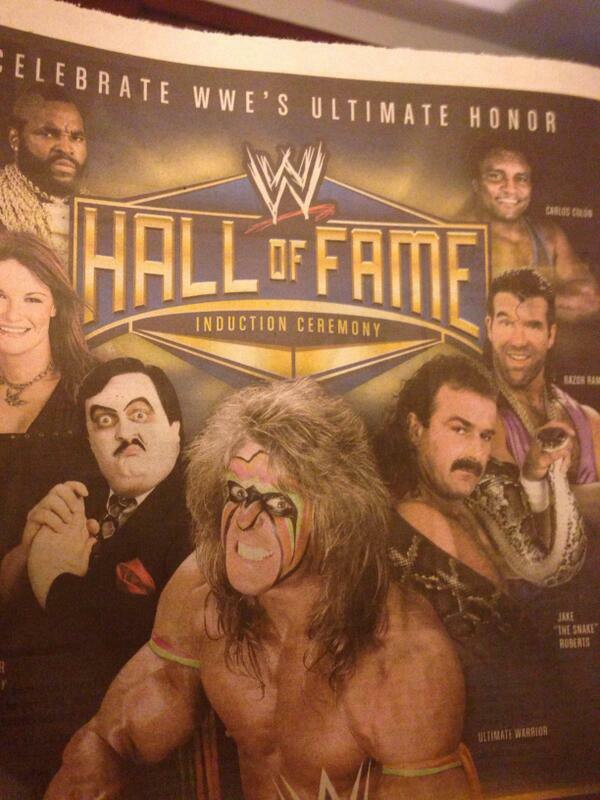 In a newspaper advertisement circulating the inter-webs today, Scott Hall is shown as the last member of the WWE Hall of Fame Class of 2014. While photoshop is always a possible culprit, this looks legit. Seems as if the rumors have been true and Scott Hall will be joining the Class in New Orleans this year. We will wait until tonight’s Monday Night Raw to find out if this pic is the real deal or not. This entry was posted in Rumors, WWE Hall of Fame NEWS and tagged scott hall; class of 2014. Bookmark the permalink.